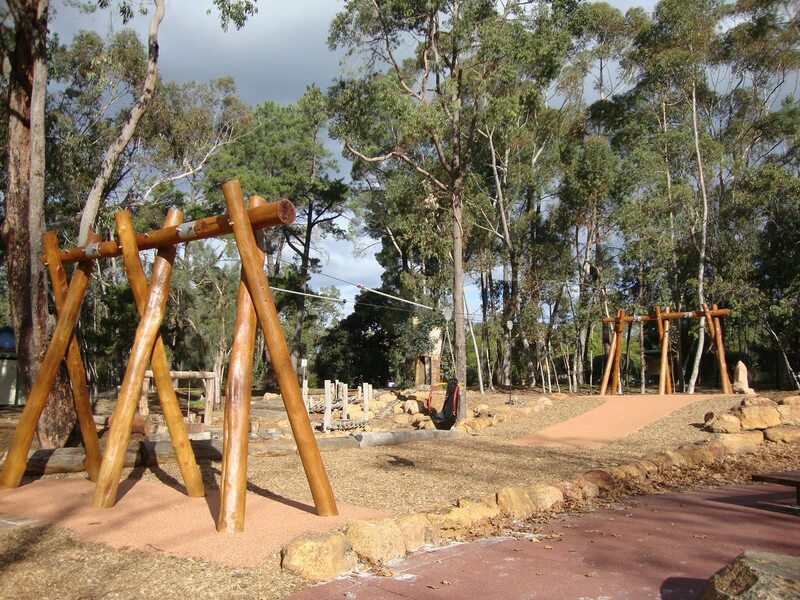 The Mundaring Community Sculpture Park is a tranquil natural oasis in the Perth Hills, well-known for its quirky sculptures created by talented local artists. 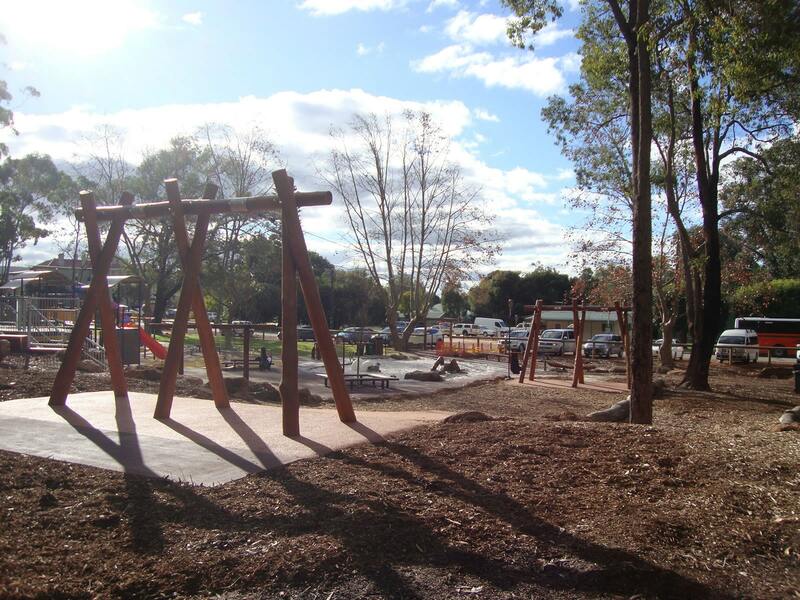 As part of a major park redevelopment during 2016, a fantastic new playground was created. Reflecting the bush setting, it’s a wonderland of nature-based and sensory play. With rocks to climb and logs to balance on, it also boasts musical instruments, a range of colourful slides, climbing frames and a sandpit with a huge wooden-carved dragon. The park is mostly wheelchair accessible, with inclusive equipment such as a harness swing and spinning wheelchair roundabout. 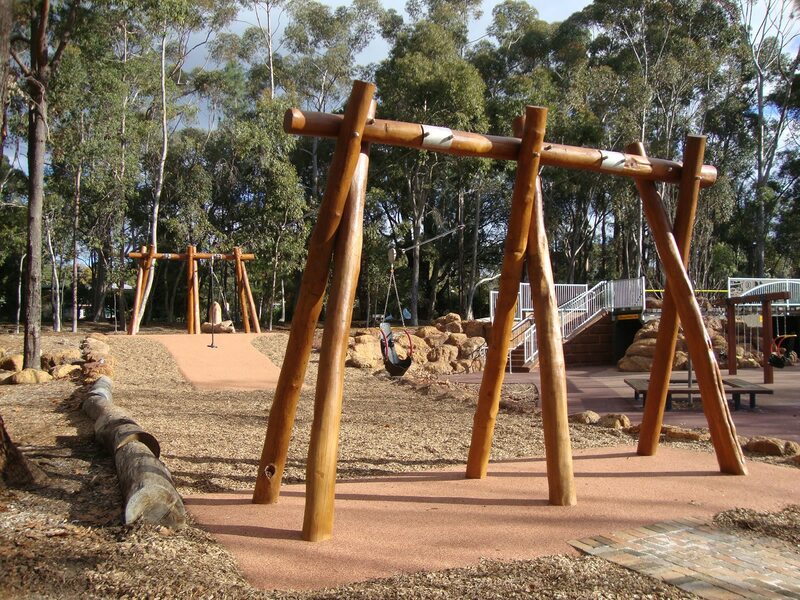 With so much to discover and explore, the local Council wanted one more “piece de resistance” to tie the playground together: a flying fox. There were five main criteria to meet: it had to fit a relatively small area, reflect the natural environment, be accessible to children of all abilities, meet the highest safety standards … and deliver exhilarating fun! Working closely with the Council’s architect, Playground Centre designed the ideal, customised flying fox using our own smart software. 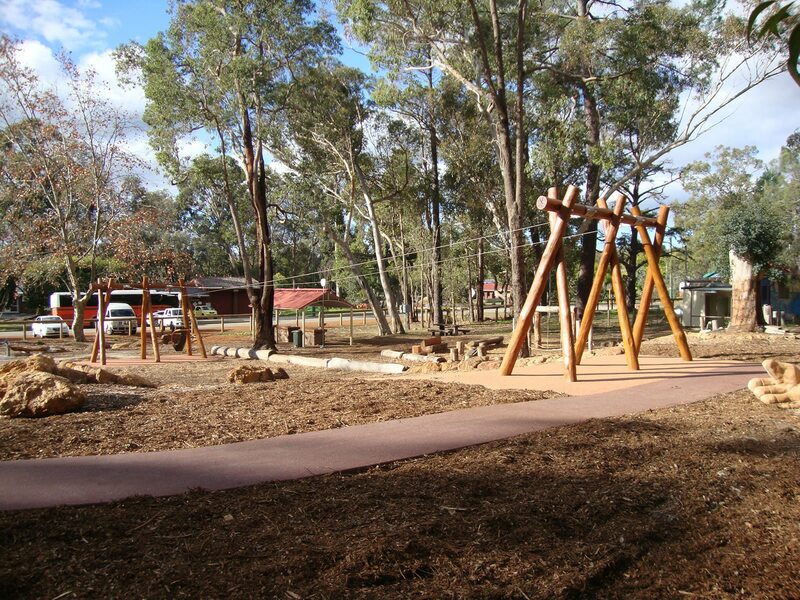 Local Jarah timber was chosen for to highlight the natural location and the footings were designed specifically to match ground conditions and accommodate safety matting. The flying fox included two seats: one standard and one all-accessible. produced a site plan detailing the earth works needed to contour the ground, including reusing any excavated material to save costs. This process eliminated the need for any “guess work” while making life easier for the contractor and cable installation team. Fullly approved by the Safety Auditor, the precise and sophisticated planning delivered peace of mind for Council – and rave reviews on everything from local blogs to Trip Advisor.